One of the last things that you want to deal with as a homeowner is something going wrong with your septic system. For repair & replace septic tank system in Bryant, you can look to our team at Schleg Valley Construction. Not only do we offer all of the repairs that your set up may need, but we can also be there should you need a full replacement. Being able to diagnose a septic issue can be difficult for the ordinary homeowner. Working with a team of professionals will give you all of the insight that you need to know what you may be up against. Our staff at Schleg Valley Construction will be happy to come out to your location to offer you a full assessment of the condition of your septic tank system. Should we find anything wrong, we will have the chance to give you options when it comes to quality repairs using only durable parts that are built to last. Do you feel as though your septic tank system could be failing and you need to see about the cost of a whole new system? Our certified technicians are well-trained to fully design a new system for you to be installed on your property. We have all of the latest technology and equipment that will allow us to get the work done quickly and efficiently. Before you know it, you will have a brand new septic tank system up and running to give you the peace of mind that everything was done right the first time. 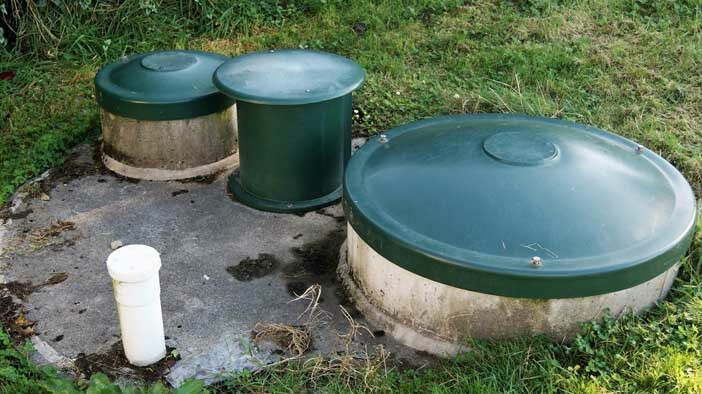 Are you noticing foul odors coming from your septic tank area outside? Do you have water that seems to be slow draining from your sinks, showers or bathtubs? Call on us to help! If you need professionals to help repair & replace septic tank system in Bryant, call Schleg Valley Construction at (425)312-6750 for information!